Governor Andrew M. Cuomo announced Monday that Buffalo State has been selected as a regional host campus for New York State’s new Master Teacher Program, which will reward the state’s highest performing teachers, ensure that the best and brightest stay in education, and encourage the state’s best teachers to share their expertise with peers. Read Governor Cuomo's press release. Through the NYS Master Teacher Program, high-performing secondary science and mathematics teachers who make a commitment to mentor other teachers will receive $15,000 annually over four years. Selected master teachers will engage in peer mentoring and will both attend and create intensive content-oriented professional development opportunities throughout the academic year. Master teachers will also work closely with preservice and early-career fellows in their regions to develop future world-class educators. SUNY Chancellor Nancy Zimpher said, "Incentivizing our best teachers in the STEM fields to stay and teach in New York and lend their expertise to others will build a strong foundation of student success and ensure that our education system remains globally competitive. The New York State Master Teacher program is yet another example of the Governor taking bold action to improve New York schools and benefit students for years to come." 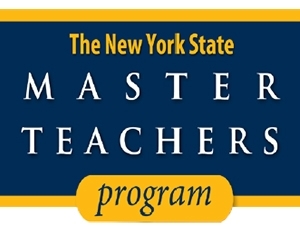 The NYS Master Teacher Program will be managed by SUNY with technical assistance provided throughout the first phase of implementation by Math for America, a successful program currently operating in New York and other major cities. The Master Teacher Program will be based at and hosted by higher education institutions in each of the state’s 10 economic development regions. An initial group of 250 teachers will be selected from Mid-Hudson, North Country, Central New York, and Western New York in fall 2013; the program will launch in the remaining six regions in spring 2014. Applications will be available July 1 and due August 1—the first round of master teachers will be announced September 1. Buffalo State has a distinguished history of preparing educators to excel in a wide range of classroom settings dating back to the college’s opening as the Buffalo Normal School in 1871. Today, Buffalo State houses the largest teacher-education program in the region. The college is also the only SUNY institution that has received continuous accreditation by the National Council for Accreditation of Teacher Education (NCATE) since the organization conducted its first review of institutions in 1954. Teacher education candidates at Buffalo State are prepared through a strong and diverse on-campus curriculum as well as through clinically rich field and student teaching experiences and service learning. More than 40 schools in Western New York serve as partners through membership in the college's award-winning Professional Development Schools Consortium (PDS), the largest and oldest such consortium in SUNY. Specific to math and science education, Buffalo State features undergraduate and graduate programs in biology, chemistry, earth sciences, mathematics, and physics that prepare teacher candidates for secondary certification and 30-credit-hour concentrations in science and math for elementary and special education teacher certification. In January, students and faculty in these programs began reaping the benefits of the college’s new $100 million Science and Mathematics Complex. The first phase of the 224,000-square-foot, three-story facility opened at the beginning of the spring semester. The second phase will include a complete renovation of the existing Science Building’s north wing, while phase three of the project will create a new state-of-the-art planetarium, greenhouse, labs, classrooms, and lecture halls.